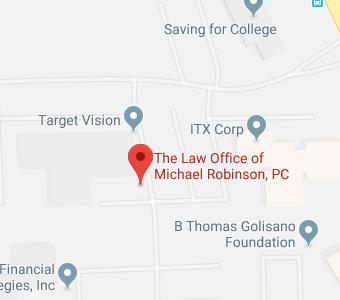 Sara is the Estate Paralegal at the Law Office of Michael Robinson, P.C. She is responsible for production of all estate planning documents. Sara also processes the administration on estates. Previously, Sara worked in the Higher Education field, as the Coordinator of Judicial Affairs for Manhattan College in New York City. Prior to that, Sara worked in Higher Education for the University at Buffalo as a Judicial Affairs/Residence Life professional while attending law school. 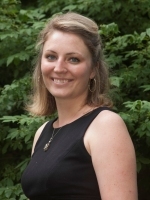 Sara attended the University at Buffalo for her undergraduate education and obtained a Bachelor’s degree in History and Legal Studies in May of 2006. She then continued at the University at Buffalo School of Law and earned her Juris Doctorate in February of 2009. Sara enjoys spending time on her family farm in Bath, NY, with her parents and siblings. She plays tennis and also enjoys camping and hiking. She especially enjoys spending time with her youngest brother who still attends high school, and she is working with him to learn how to play guitar. Sara also attends church every Sunday in Bath, NY, with her family. Sara grew up in Avoca, New York, and is very excited to have returned back to the area after being away to obtain her education and then work in New York City.